Winter is the time to slow down, nourish the soul, and focus on strengthening our immunity. Eating seasonal fruits and vegetables allows us to do this as they are effective at being natural immune boosters. By focusing on foods that build a healthy immune system, we create a natural defense against unwanted illness, headaches, digestive issues, a weak immune system, and dry skin that can plague us in the winter months. Cold and flu season becomes less of a worry when our immune systems are strong. If you want to avoid succumbing to countless sniffles and colds during the colder months, there are many steps you can take. Keeping wrapped up when outside and making sure your home is warm is a must, but you should also consider the types of foods you eat that will boost your immune system. Here are some foods you should try to fit into your diet, either daily or at least a few times a week to help boost your immunity. Garlic can be considered Mother Nature’s antibiotic. It contains a whole host of beneficial components, one of which is called allicin, a potent antibacterial agent. Additionally, allicin has immune-enhancing effects by stimulating lymphocytes – a type of white blood cell – which are key players in your body’s immune response. Zinc is a metal required for all kinds of biological processes in your body. The micronutrient is involved in tissue growth and proliferation, and it’s important for normal brain functioning. For example, zinc regulates neurotransmitter release, which is vital for mood regulation. Especially at this time of year, zinc is involved as your body copes with the threat of infection. It has been shown that zinc deficiencies result in a reduced immune response or weak immune system to invading pathogens. Zinc is naturally found in protein-rich foods such as lamb, pumpkin seeds, grass-fed beef, chickpeas, cocoa powder, cashews, kefir, mushrooms, and spinach. I love to make my own pumpkin seed mylk, even though the color is not the most attractive-looking, the mylk is very nutrient-dense. Onions are often neglected as a health food but are usually a common ingredient in many staple dishes. Onions, especially red onions, are a wonderful source of flavonoids – plant compounds which have a whole range of antioxidants add benefits for your body and can boost the immune system. Though the evidence is somewhat mixed, some flavonoids found in onions have been shown to have anti-viral effects. Just like garlic, onions are very easy to incorporate into your diet. Try having them raw in a salad. They can also be effective at helping strengthen a weak immune system. Ginger is also great for relieving the feeling of nausea and vomiting if you are not well. Additionally, it can help prevent infection and boost your immune system. Ginger is incredibly warming on a cold winter’s day. That warming effect can act as a natural decongestant and it can also help to promote sweating, which is part of your body’s mechanism in fighting colds and flu. Interestingly, sweat contains a potent anti-microbial peptide called dermcidin that may help fight off infections – which may be another reason why exercising regularly during the winter months to promote sweating can help to keep infections at bay. Having a healthy digestive system is probably the number one thing you can do this winter to improve a weak immune system. It has been shown that exposure to beneficial bacteria as an infant improves health in later life, reducing infections, allergies and the risk of asthma or other autoimmune diseases. For sure, our hunter-gatherer ancestors would not have been exposed to the sterile, overly clean environments in their early and later years, like those of us who live in the developed world. Foods rich in natural healthy bacteria that your body can make use of include yogurt, kefir, kimchi, kombucha tea, and sauerkraut. If you want an extra probiotic boost, then probiotic supplements, particularly those that contain prebiotics to feed the bacteria, are great for this time of year. Like ginger, curcumin has anti-inflammatory and anti-oxidant properties; but it also has anti-microbial features too, combatting bacteria, viruses, and fungi. A great way to get turmeric into your diet is by adding it to your smoothies, cooked eggs, vegetables, or other favorite dishes. I love to add ¼ tsp to my smoothies every morning and you can’t even taste it! Another way I add turmeric to my diet is I like to make golden milk with it. Green tea is a beverage that has been consumed in Eastern cultures for centuries. It’s rich in phenols, with great antioxidant properties. Additionally, it’s useful to know that powdered green teas (matcha, for example) release their antioxidants much quicker than whole leaf teas. The antioxidant benefits of green tea provide a whole variety of potential advantages, from protecting against heart disease, to reducing your risk of cancer. That aside, the antioxidants in green tea are beneficial in offering general support and adding strength to your immune system. 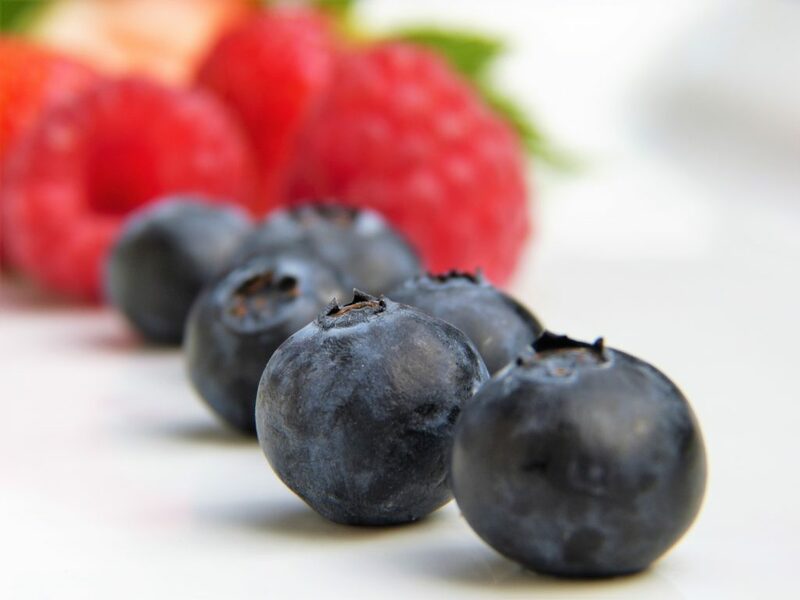 Antioxidants protect against damage from compounds known as free radicals, which can keep your immune system healthy. Honey has been known to have antibacterial properties for many years. As such, it is sometimes included in licensed wound care products. Sens e honey is thick and sticky, it coats your throat and provides a natural way to soothe soreness. Honey has antioxidant and antimicrobial properties, which help fight infections from viruses, bacteria and fungi. The antimicrobial activity of honey appears to be due to its high sugar content, as well as hydrogen peroxide. Studies show that mushrooms increase the production and activity of white blood cells. They become more aggressive when fighting bacteria. Shiitake, maitake and reishi mushrooms pack the biggest immunity punch and are great natural immune boosters. These 3 mushrooms can be found in supplement form from your local health food store or purchased online at vitacost.com or iherb.com. I like to take them during the winter months as a preventive measure for that added protection. Kiwifruit is a great source of vitamin E! It helps protect your body from viral and bacterial infections. While the jury is still out on whether vitamin C helps boost immunity, kiwi has more of it than most citrus fruits, including oranges – and that can’t be a bad thing. Staying hydrated fuels the cellular processes that keep your body moving and grooving. Hydration is also key for proper function of neutrophils, a type of white blood cell. I can’t say enough how so very important it is to drink your water daily. Many of us don’t drink enough water and experience many symptoms of dehydration such as constipation, poor digestion, bloating and gas. If you want to improve these conditions instantly, increase your water intake. The winter foods listed above can definitely be seen as natural immune boosters, giving you greater results than over-the-counter drugs for healing colds and flu symptoms. We should always see food as medicine, as a way to treat the whole body, not just the symptoms. What is your winter remedy for a healthy immunity?